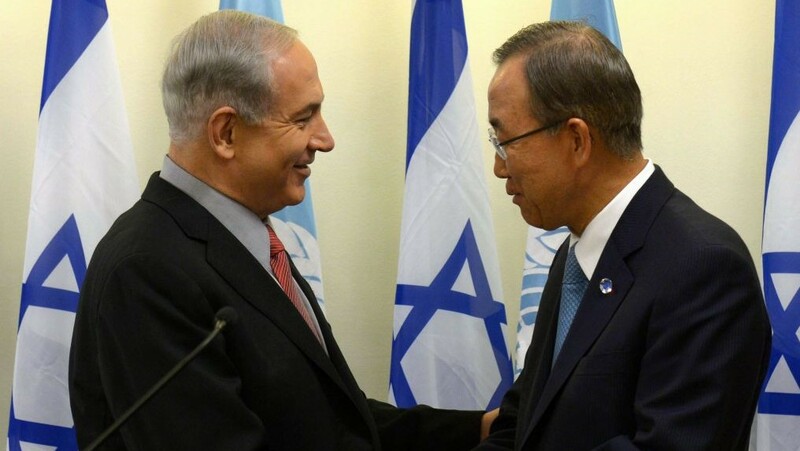 Prime Minister Benjamin Netanyahu told UN Secretary General Ban Ki-moon on Saturday that Israel has definitive evidence Hamas perpetrated the kidnapping of three Israeli teens and that Israel opposes a transfer of funds to Hamas in Gaza. 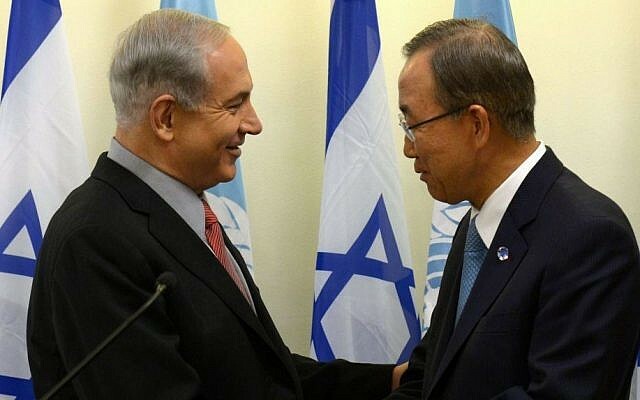 Netanyahu told Ki-Moon that “information in Israel’s hands unequivocally indicates that Hamas is responsible for the abduction of the youths, adding that this needs to be expressed in actions on the ground,” Netanyahu’s office said in a statement. On Tuesday, deputy spokesman for Ban Ki-moon Farhan Haq said the UN had “no confirmation that we can independently make about an abduction,” in response to a question about how the UN had established that there had been a kidnapping. The prime minister also told the UN chief that Israel was “oppose[d] to the transfer of funds from Qatar to Hamas” — a reference to a report Saturday that the UN’s Mideast coordinator in Jerusalem sought to transfer funds to the terror group, an action for which Foreign Minister Avigdor Liberman was now seeking his expulsion. Coordinator Robert Serry denied the allegations, saying in a statement that he was approached by Palestinian Authority Prime Minister Rami Hamdallah about transferring funds from Qatar to pay Gaza salaries, but that he had made it clear he would only act if Israel was also amenable to the arrangement. Channel 2 reported that Serry has been seeking relentlessly to transfer funds to Hamas in Gaza, to the immense displeasure of Liberman. Israel, the US and others designate the Islamic extremist Hamas, which is formally committed to the destruction of Israel, as a terrorist organization. He cited the regional instability caused by Islamist militant groups in asserting Israel’s right to defend itself. Israeli forces are embarked on a massive campaign to locate the three kidnapped boys while simultaneously destroying parts of the Hamas terror infrastructure in the West Bank. Eyal Yifrach, 19, Gil-ad Shaar, 16, and Naftali Fraenkel, 16, disappeared late at night June 12. The abduction has also cast doubt on Palestinian reconciliation efforts. Palestinian Authority President Mahmoud Abbas has condemned the kidnapping and called for the safe return of the teens. Several senior PA officials have said that if Hamas was indeed behind the abductions, it will spell the end of reconciliation efforts.